Justice Suresh Kumar Kait, Judge of the Delhi High Court is transferred to High Court of Judicature at Hyderabad for the States of Telangana and Andhra Pradesh. Justice Rajiv Shakdher, Judge of the Delhi High Court is transferred to Madras High Court and Justice Kaushal Jayendra Thaker, Additional Judge of the Gujarat High Court is transferred to Additional Judge of the Allahabad High Court. Justice Suresh Kait, Justice Rajiv Shakdher and Justice Kaushal Jayendra Thaker are directed to to assume charge of his office in the Madras High Court on or before 15th April, 2016. Justice Arun Bhaurao Chaudhari, Judge of the Bombay High Court is transferred to Punjab & Haryana High Court. Justice Pradip Kumar Mohanty, Judge of the Orissa High Court is transferred to Jharkhand High Court. 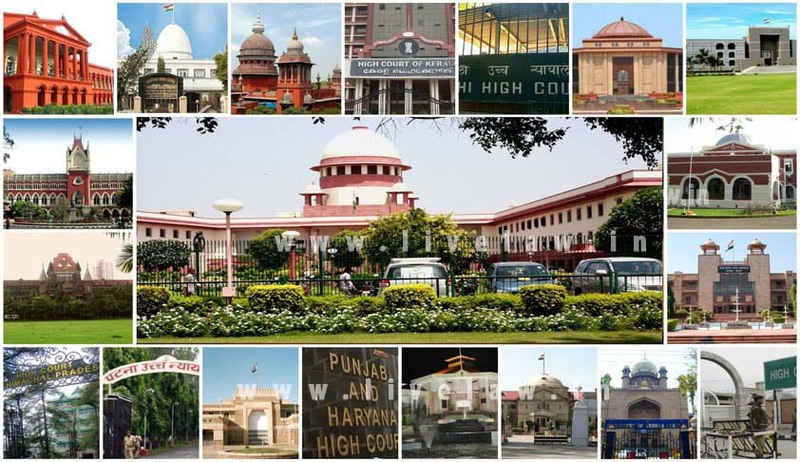 Justice Sabina, Judge of the Punjab & Haryana High Court is transferred to Rajasthan High Court. Justice Ramalingam Sudhakar, Judge of the Madras High Court is transferred to Jammu & Kashmir High Court. Justice Shantanu Sharadchandra Kemkar, Judge of the Madhya Pradesh High Court is transferred to Bombay High Court. Justice Vineet Kothari, Judge of the Rajasthan High Court is transferred to Karnataka High Court. Justice Nooty Ramamohana Rao, Judge of the High Court of Judicature at Hyderabad for the States of Telangana and Andhra Pradesh is transfereed to Madras High Court. The above mentioned judges are directed to assume charge of his office in the respective High Courts on or before 19th April, 2016.